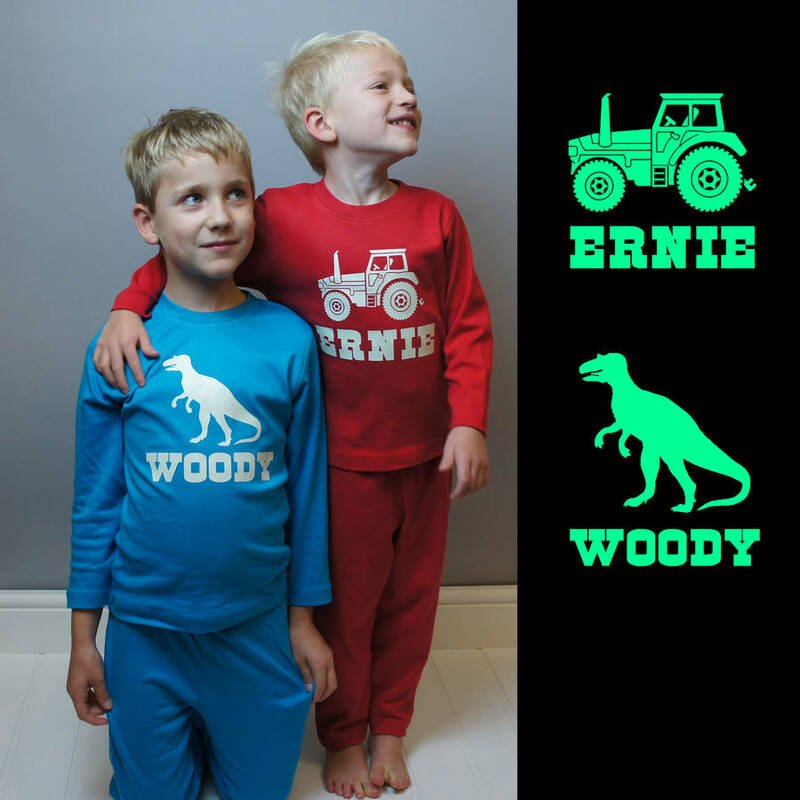 Exclusive to Simply Colors, these personalised Glow in the Dark Child's Pyjamas are Fab! 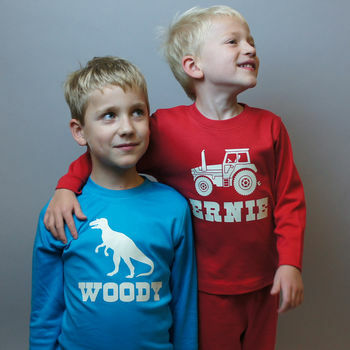 Great for Boys or Girls, they will love their PJs! Completely personalised, you can select your own image and text to create a unique gift! 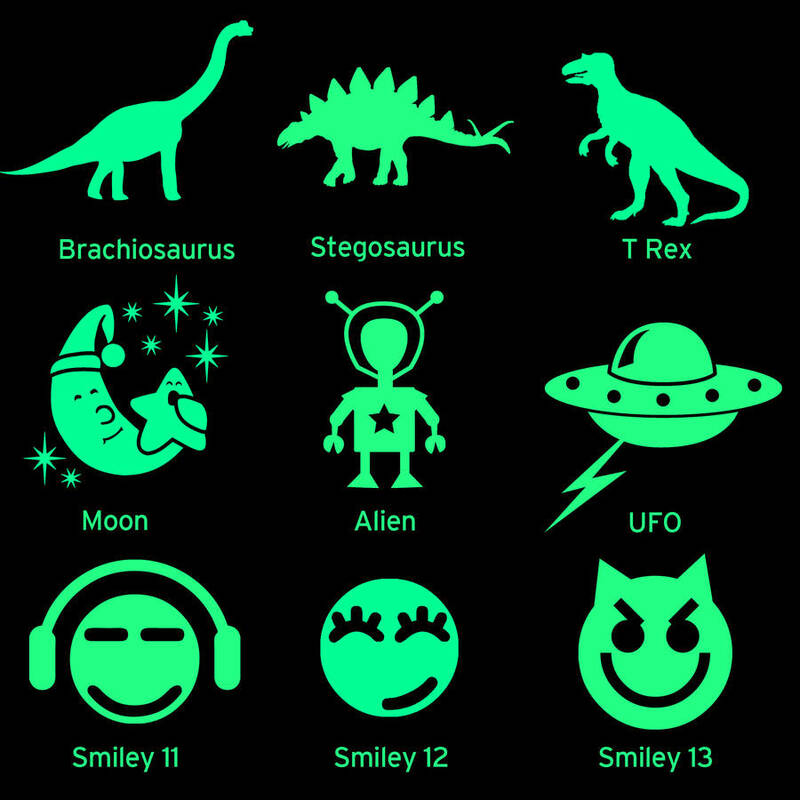 You can choose from lots of different images such as; a Tractor, a Dinosaur, an Alien or Moon! It is up to you! 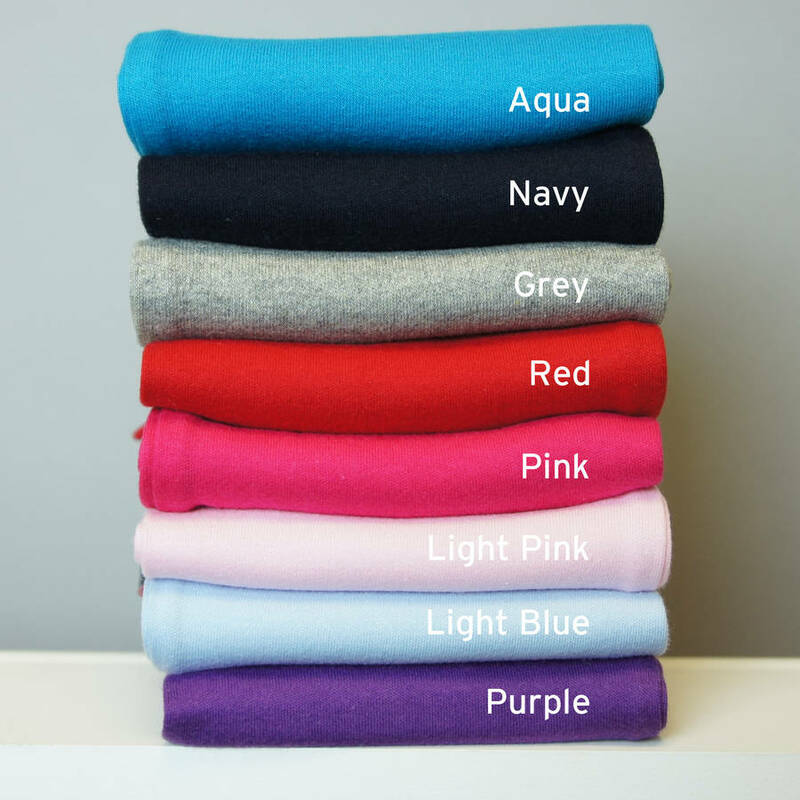 Select from our different colour tops, and then mix and match with the bottoms! Our Glow in the Dark print is a totally organic luminescent product. 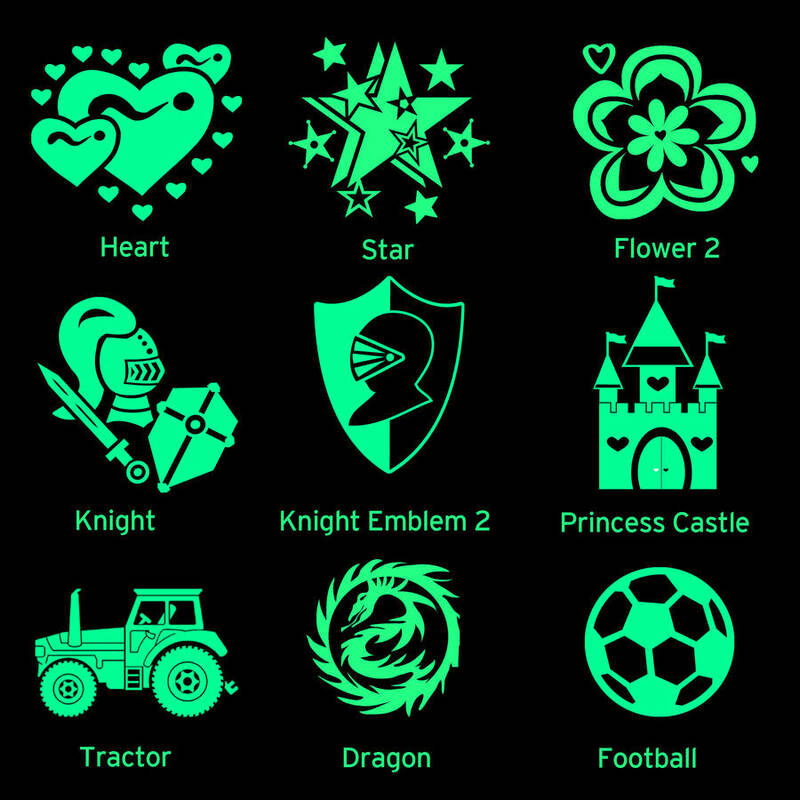 The unique ink combinations transfer charges in normal light and then "glows" when in reduced light or darkness. When it's not glowing the print looks white/cream. When creating your glow in the dark PJs, we recommend having a look through our pictures. This has; design inspirations, pictures of all the fonts, images, and a size chart. Please note that some of the fonts do not recognise capitalisation - so if this is important please check the font picture for more details. Our PJs (exclusive to Simply Colors) are made from 100% cotton. Care instructions: The pyjamas can be washed up to 40 degrees. We recommend 30 degrees for at least the first wash and they should not be tumble dried as this may affect the quality of the print. Iron on reverse. Available in sizes 3-9m to 9-10y. 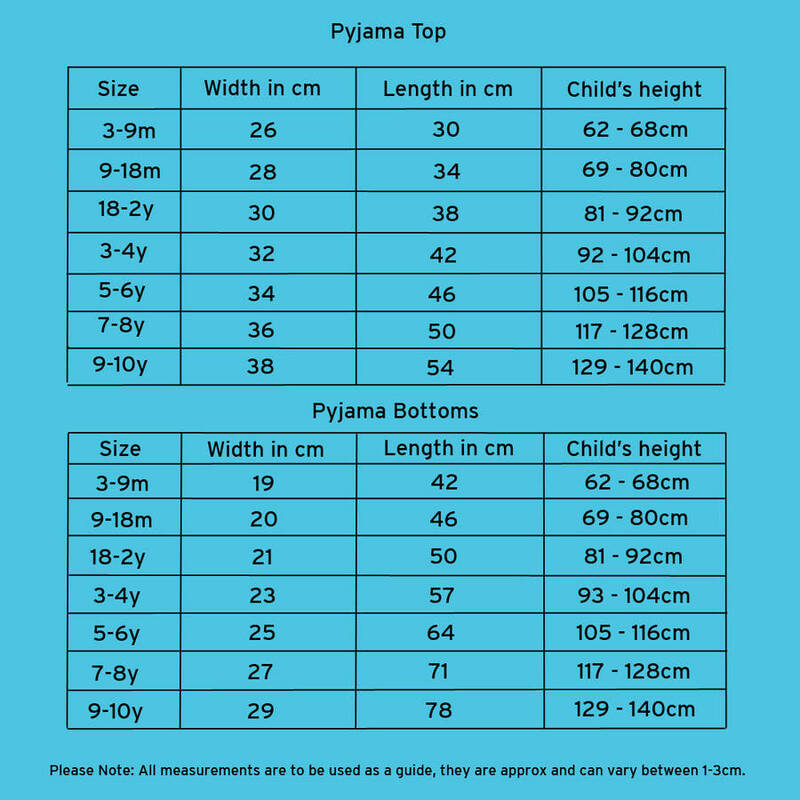 Trousers up to size 11-12y for the longer legs. Popper fastenings on one shoulder, for easy dressing up to age 9-18m. The text will be sized to fit the pyjama top. All our standard shipping orders are sent by first class post. This would usually take 1-3 days to be delivered, but is not a guaranteed service. If you would like your items to be delivered on a particular day, we would suggest selecting express shipping as this is sent with a guaranteed service. Please note that UPS or Royal Mail special delivery services may require a signature as proof of delivery.